Our years of experience in TV wall mounting means we are able to charge competitive prices while offering high quality, professional service. 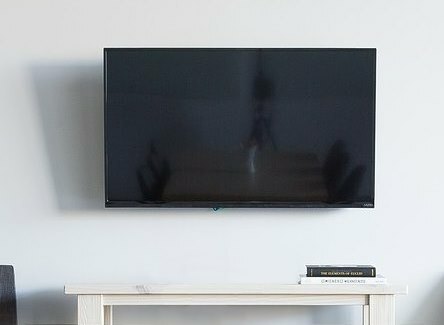 Mounting TVs to your wall can be dangerous to do yourself if you don't have the right experience and equipment to do it properly, so having the professionals at Adelaide Telefix mount your TV for you means you can have peace of mind knowing that your TV will be mounted securely and to your liking. For 22 to 59 inch TVs, our wall mounting installation cost starts from just $240. For 60 inch TVs and larger, our wall mounting installation cost starts from just $320. If you want us to conceal any cabling from your TV, we can conceal the cabling for $50 per installation. To book a job, click the button below and let us provide the best TV wall mounting installation for your needs.